When it comes to the writing process, it is always an accurate work. Our writing tips will help you focus on the most confusing aspects while completing your essays, letters, paper works, and etc. All the punctuation problems that might have occurred in your writing process will get eliminated after you examine our punctuation solving problem tips. Apostrophes are used with contractions (e.g., can’t, you’d, it’s) or to show possession (e.g., the boss’s wife, Texas’ weather, guys’ night out, two children’s hats). We normally don’t use apostrophes to form plurals, though, there are a few exceptions like with abbreviations (e.g., three M.D.’s), single letters (e.g., My a’s look like u’s), plurals of words that aren’t normally nouns (e.g., There are some examples of do’s and don’ts) and numerals (e.g., the 1990’s, the ‘90s, the 90’s). Quotation Marks. Always put commas and periods inside quotation marks. Question marks should follow the logic of the quoted material. Depending on whether a question is within or outside the quotation, place a question mark correspondingly. Do you agree with the proverb, “An Apple a day, keeps a doctor away”? Parentheses contain periods in case a whole sentence exists on its own. 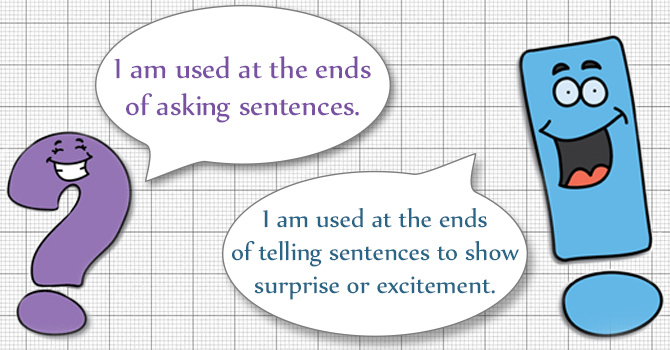 To enclose additional or background information, use punctuation outside the closing parenthesis. Examples: I received a nice bonus ($500). Colons and semicolons can never be used interchangeably. Though, both colon and semicolon are used to link independent clauses, put colon if you want to introduce a further explanation or expand a sentence. Place semicolon to narrow the gap between two merely related independent clauses. Examples: I need to buy the following items: sugar, flour, and milk. Hyphens’ main aim is to link words, which bear a single idea (single-idea-words) together. You can’t hyphenate words in order to build a compound adjective in case there is an adverb very or any other adverb ending in –ly. Correct: state-of-the-art design, the friendly-looking dog (friendly is an adjective). Incorrect: the very-elegant dress, the finely-tuned watch. Don’t overuse punctuation. If there is an exclamation point or question mark, it should never be followed by another period. Also, don’t add extra period if a sentence ends with an abbreviation, which already contains a period. Example: I wake up at 8 a.m. What about you? Use our writing tips for your essays, thesis, letters, and etc. These are the basic punctuation rules necessary for each student and an average literate person. In case, you feel confused about the correctness of your sentences and their punctuation, consult a dictionary as well as turn for help to additional sources of information such as The Blue Book of Grammar and Punctuation, for example. Another way to avoid mistakes in your writing is to rewrite your sentences in a less complex way, without compound sentences, which require the proper punctuation. Good luck in your efforts to become a literate person.